Is trike insurance different to motorbike insurance? Though a rare sight on UK roads, trikes are popular among bikers because of the added safety and stability they offer over standard motorcycles. 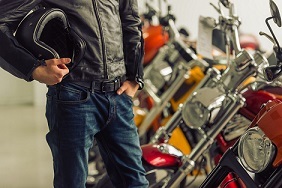 Despite this, one of the main issues owners find is that these three-wheelers are often motorcycles that have been modified into trikes by their owners, so getting insurance quotes can be difficult. If your trike is a non-standard or custom build, you can still receive and compare prices with us, but you will need to call the insurance provider you choose to confirm all the vehicle details and ensure that the risk, policy and price quoted are correct and fully understood. Any incorrect information at this stage could lead to additional insurance costs later on. Is it a bike, trike, or a car? Many trikes are built using engines or chassis from cars, and many 3-wheeled cars use motorcycle components, which can cause some confusion when it comes to buying motorbike or car insurance. 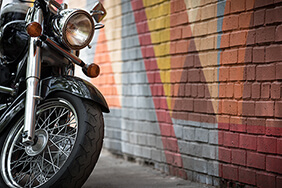 If you're ready to get started, click the ‘Get a quote’ button above to compare our best trike insurance quotes or for more information to help you find the policy that’s right for you, take a look at our motorbike insurance guides. From third party only to fully comprehensive, your level of cover will be an important choice and impact not only the price you pay for your policy, but also the level of assistance your insurer is able to offer you in the event of an accident. For more information, read our guide on insurance policy types. 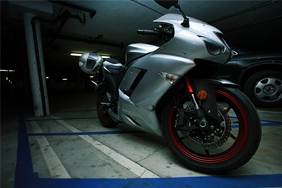 Breakdown cover - Similarly to car insurance, motorbike breakdown cover policies can cover you both nationally and abroad. Many insurers now offer breakdown assistance as an optional extra on their policies. For more information on what each provider can offer, take a look at our list of providers. If you are considering buying a trike in the future, you should be aware of changes introduced by the DVLA that may change your eligibility to ride a trike. If you have held a motorcycle or moped licence before the 19th of January 2013, you’ll keep your existing entitlements and can still ride the same kind of bikes as you did before. Provisional licences now only cover you to ride trikes if you have a physical disability. Driving tests for trikes and other three-wheeled vehicles are only available for physically disabled drivers. Non-disabled drivers who want ride a trike need to pass the CBT, theory and practical tests on a two-wheeled motorbike. Find more information on the licence and test requirements on the Government website.